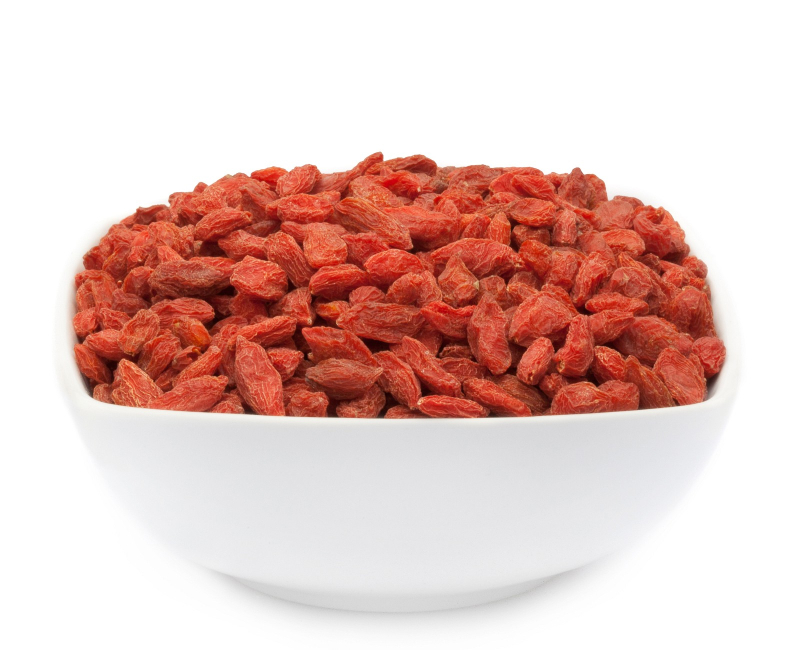 Goji berries - healthy & tasty! Wolfberry berry / goji berry, Preservative: E220. May contain traces of GLUTEN, SOY, MILK, SESAME SEEDS,PEANUTS and other NUTS. The people of Central Asia appreciate and adore the deep red Goji berries very much. This shows every year with more hard days where are refined using the "fruit of well-being" extensively. The Goji WOLFBERRY is an important component of Chinese cuisine and traditional Chinese medicine. The little red wonder fruits, dried gently, include namely for all vital nutrients and vital substances, making them an ideal food, a Superfood, which enriches the diet and can bring our health in an optimum balance. 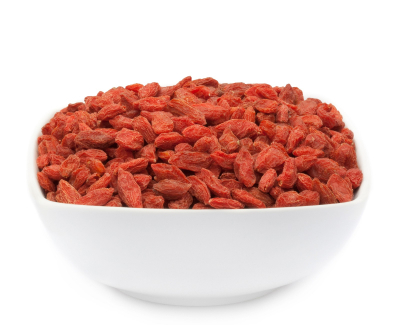 Our GOJI WOLFBERRY is a great asset to the daily diet. Foods, such as the Goji WOLFBERRY are among the foods that exhibit a higher level of nutrients and vital substances and, therefore, a multiple of positive features for health. So you can, for example, boost the immune system, where they activate immune cells in the body to fight viruses. They, therefore, called as Superfood, has prevailed in recent years. Throughout the day, you can integrate excellent into your diet these wonderful berries. Your body will thank you with energy and strength. Even a small handful of luck, dried red berries is fully sufficient to supply your body with essential nutrients and vital substances. Classic and simple scattered as small nibble cracker for in between meals or on a delicious cottage cheese or yoghurt food, you'll love the good reputation that precedes the berries. A cute, little side effect should be mentioned: the rich deposits of antioxidants in the berries is a veritable fountain of youth for the skin. Just throw yourself a couple of GOIJ wolfberry in the mouth - this idea makes us, after all, very happy, right?